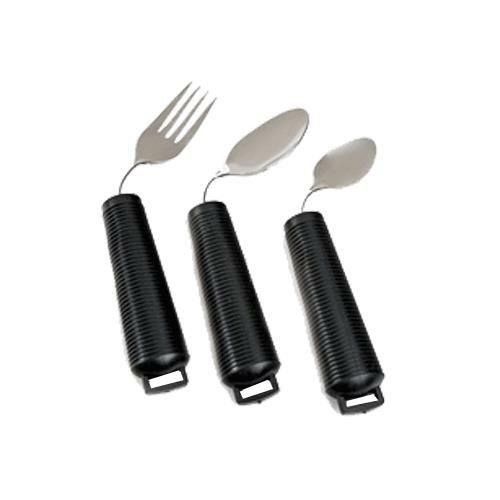 Alimed Grip Utensils are easy-to-grip, handsome, high-quality utensils that have comfortable, oversized textured handles. 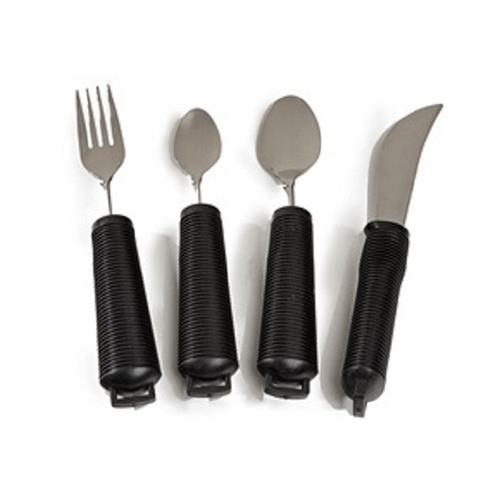 They are made of stainless steel and are dishwasher safe. is it a rocker knife? Is it a completely smooth edge or slightly serrated? 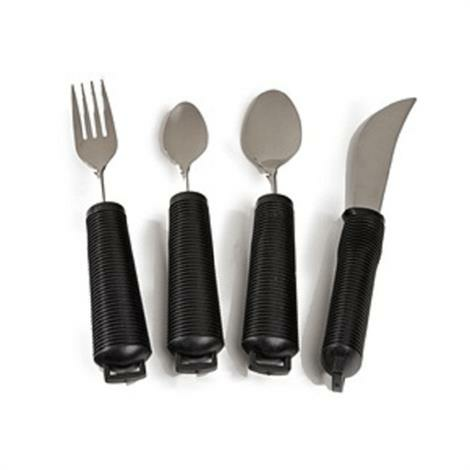 If a picture of the knife (or the whole set) could be posted I would appreciate it! This is not an rocker knife and is slightly serrated. Image of this product is updated.